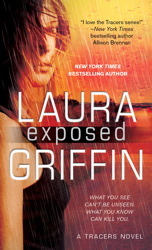 XOXOAD is thrilled to welcome back New York Times bestselling author Laura Griffin! She’s here to chat about her latest release, FAR GONE, but she’s also giving us a sneak peek of what’s coming next. Read below to get the scoop! 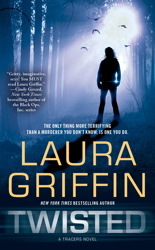 Q: Your Tracers series is hugely popular among fans, but FAR GONE is a standalone that introduces two new leading characters, Andrea Finch and Jon North. Tell us a little bit about them. What made them the perfect pair to lead FAR GONE? A: Andrea and Jon are both such strong personalities. From the moment he first meets her, Jon is attracted to Andrea because she’s so fiercely independent. When Andrea learns that Jon’s FBI team is investigating her brother, she is immediately distrustful of his motives for wanting to get to know her. So Andrea finds herself torn between her attraction to this man who’s come into her life and her determination to bail her brother out of trouble. Q: Will you write more books for their characters? A: I would love to write about Jon and Andrea again, so I left things open for more. I have a feeling we’ll be seeing them in future books. Q: Who do you think should play Andrea and Jon in a movie/tv show? A: Andrea is strong and free-spirited, and I pictured Rooney Mara, who played Lisbeth Salander in THE GIRL WITH THE DRAGON TATTOO. For Jon, I pictured Jon Hamm, who played an FBI agent in the movie THE TOWN. 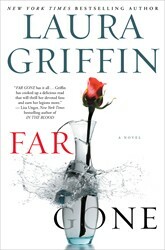 Q: Which character in FAR GONE gave you a tough time during the writing process and why? A: It’s always a challenge for me to get into the mind of a villain. In FAR GONE, that person is especially cruel and ruthless, and I did a lot of research into some very chilling criminal cases in order to get insights into that way of thinking. 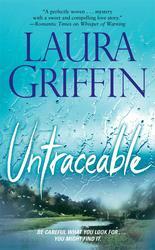 A: The next Tracers book! I’m just putting the finishing touches on BEYOND LIMITS, featuring Navy SEAL Derek Vaughn and FBI agent Elizabeth LeBlanc, who first met in SCORCHED. 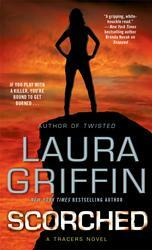 This one comes out in February, and there is an excerpt for it at the end of the paperback edition of FAR GONE. Q: Where do you write? At home, at a coffee shop, sprawled out on the couch in your comfiest sweatshirt? A: I write wherever I am, at home or traveling. If I’m home, then I’m writing with my sweet dog at my feet. She’s a wonderful writing companion. During the summer I spend a lot of time in libraries and coffee shops to get away from the chaos at my house. Q: Do you listen to music when you write? If so, what kind? A: I love to listen to music before I write, when I’m getting my head back into the story. For each book I have a different playlist that reminds me of the characters, the story, the setting. So it varies book to book. My FAR GONE playlist includes Lucinda Williams, Meiko, the Avett Brothers, just to name a few. Music is one of my favorite sources of inspiration! A mass shooting on a college campus looks cut and dried...except to one woman. 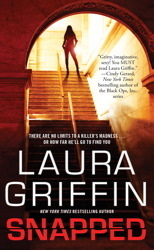 Sophie Barrett knows these killings weren't random, but can she get someone to believe her before the killer targets her? This is the very first Tracers novel, and Alex and Nathan are still one of my favorite couples. She's a PI who helps hide survivors of domestic violence, and he's the D.A. who needs to find one of her clients.